A line of several hundred people wound around the lobby of 73 Tremont Street as the time approached for the Urban Agriculture Rezoning Kickoff and Visioning Meeting. 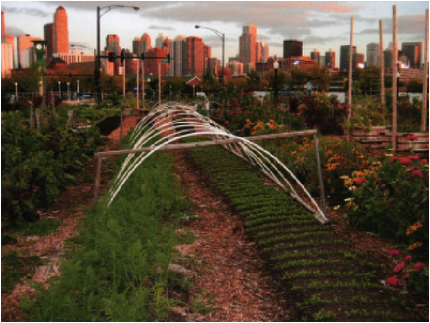 The never-ending line was a clear sign that the urban agriculture movement has gained momentum. The Boston Redevelopment Authority (BRA) and the City of Boston are making changes to zoning ordinances that will determine what kinds of urban agriculture activities can take place within city limits. This meeting provided a public forum to solicit citizen input that will help inform those changes. Those lucky enough to be let into the room before it reached capacity were greeted by a diverse array of organizations tabling with agriculture-related information. The Food Project had brochures about their youth farming programs and upcoming gardening workshops. The Boston Collaborative for Food and Fitness was present, as well as the Boston Public Health Commission with information about home garden installation. Boston’s Mayor, Thomas Menino, even made an appearance to voice his strong support for the urban agriculture initiatives that have been sprouting up all over Boston. The large turnout was due in part to the keynote speaker, Will Allen, who is arguably one of the father figures of the urban agriculture movement in the United States. 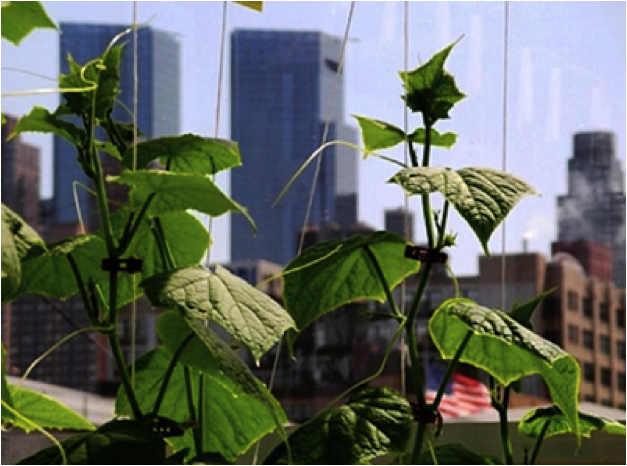 Allen is the founder of Growing Power in Chicago, a successful and multi-faceted urban farming organization. He spoke about their industrial-sized vermicompost system, farm-based youth development programs, and urban farms in Chicago and Milwaukee, as well as Growing Power’s training centers around the country. Mr. Allen held the audience in rapt attention with slides of hoop houses brimming with rows of vegetables, kids excited about soil and worms, and the seemingly endless projects he oversees at Growing Power. After he inspired the room full of farming and gardening enthusiasts, the creativity in the room was sparked and people were ready to take action. This segued perfectly into last half of the meeting which was for active citizen engagement. Staff members of the BRA and the City asked participants to gather around the tables for group discussion. Each table had a large piece of paper and instructions with questions that attendees were to answer. After nominating a scribe, each group started working their way through the questions. City staff members circulated around the room, encouraging participants to dream big and write down what they would ideally see as the future of urban agriculture in Boston. The staff was particularly interested in how making it easier to grow food in the city would impact citizens’ quality of life and how the City and the BRA could help people stay involved in this process. Once everyone had time to get as many of their ideas down on paper as possible, each table had a spokesperson present for one minute in front of the room. Many supporters of raising chickens spoke up, and there were ideas for rooftop gardens, more school gardens, greenhouses, hoop houses and bee-keeping. Municipal composting came up as one of the most important pieces of infrastructure for viable urban agriculture to take place in Boston. The City video-recorded the ideas presented and also collected the brainstorming sheets from each table. It was encouraging to be a part of a collaborative process and to feel that City officials were sincerely taking into consideration thedesires and ideas of the people of Boston. This meeting was just the beginning of a process that will take a little over a year, but it is one that is making a strong attempt to be transparent. They provided everyone at the event with a timeline of working group meetings that will be taking place throughout the year, and the neighborhood meetings that will take place in September and October. Ready your shovels, because by spring of 2013 we should all know what the possibilities for the future of urban agriculture will be in the City of Boston. If you would like to stay informed of the proceedings or be a part of the process, you can find out more information here. Katrina Brink is a first year student in the Agriculture, Food and the Environment program. She loiters at farmers’ markets and lives to spend time with others cooking up delicious meals from scratch. Currently she is exploring how to weave together her loves of people, languages and sustainable food system change into a summer internship and then into a viable career path.